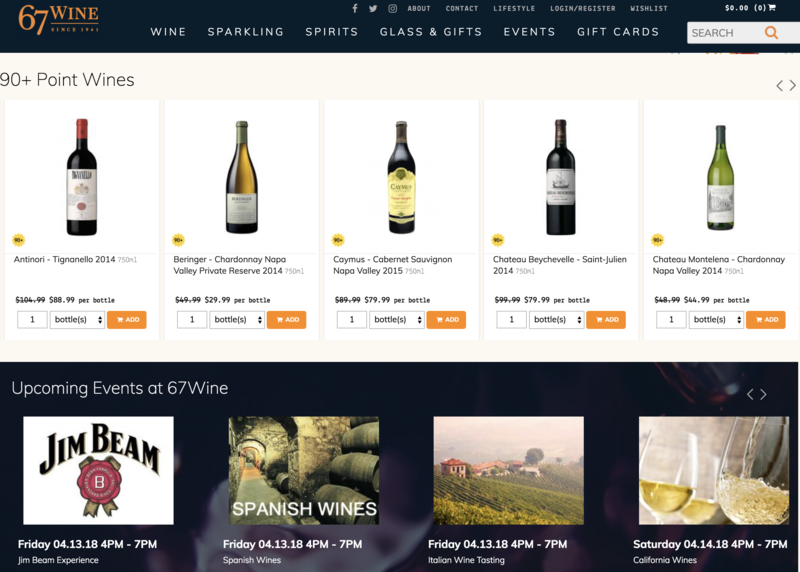 Consistently rated as one of the best wine shops in New York City, 67 Wine wanted their new website to be the best wine and spirits web site “out there” in order to reflect the high standard their customers had come to expect shopping at their physical retail store. 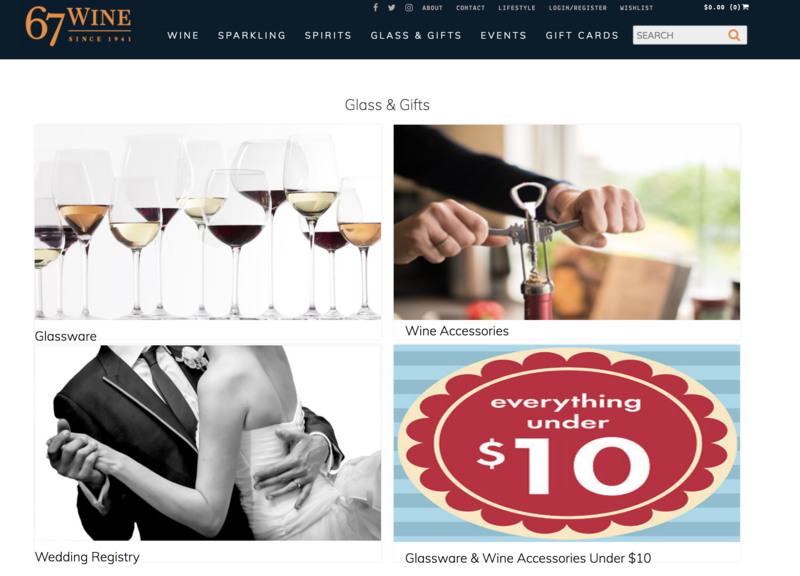 67 Wine then engaged Van West Media to redesign and re-launch their website. 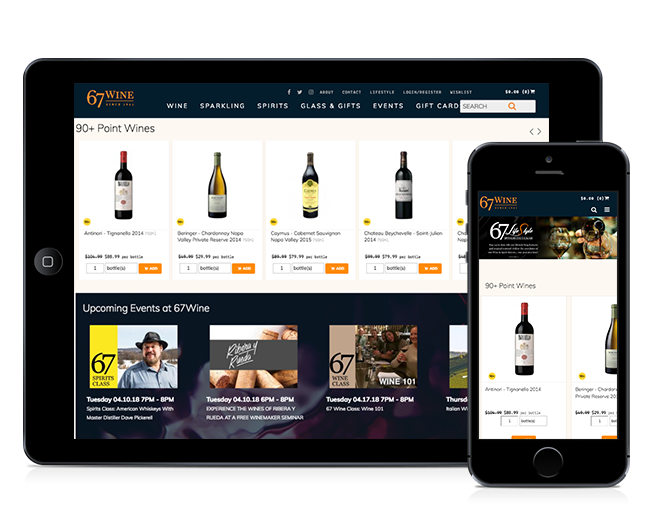 The goal was to revive the existing brand’s eCommerce web site into a modern and efficient best in class brand that represents over 3000 wine and spirit SKUs. Van West Media delivered a website based on an actionable strategy that drove the design and development phases. 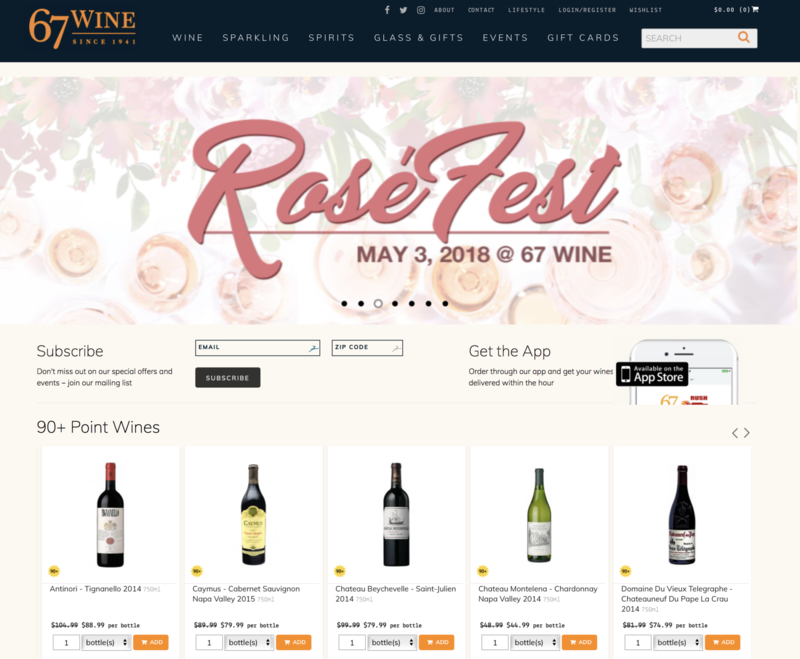 By utilizing a highly scalable content management system from WineFetch, and incorporating a variety of new searchable functions and navigation areas, we were able to show the high quality premium brand off in a new light while allowing users to easily find and purchase the wine and liquor products they love.